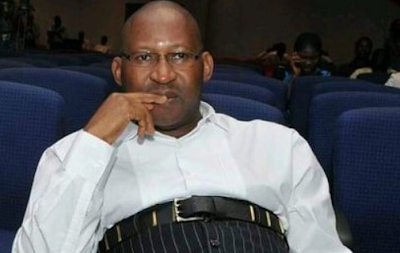 Former Member of the House of Representatives, Patrick Obahiagbon has joined voices with those calling for President Muhammadu Buhari’s second term noting that the All Progressives Congress (APC)-led administration has performed well enough to deserve a second term. The APC Chieftain said this on Friday when he appeared as a guest on Channels Television Programme, Politics Today. Reacting to the critical public statement recently written by the former President Olusegun Obasanjo to President Buhari, Obahiagbon disagreed with some of the points raised by Obasanjo and scored President Buhari high. The APC chieftain, however, said that the President is expected to be more proactive in handling security challenges, especially the issue of herdsmen crisis. “On the issue of the rampaging herdsmen, we expect and wish that Mr President will be more proactive in that area. But when you want to score President Buhari and this administration on security generally, I will want to say it is a pass mark but it is not Eureka all through,” Obahiagbon said. On the Coalition for Nigeria Movement recently launched in Abuja, headed by former Governors Donald Duke and Olagunsoye Oyinlola, Obahiagbon agreed with the need for a coalition that will challenge the political class but said it is not just about forming a coalition but it is about the people behind the group. “If you ask me, do we still need a coalition? Do we need a rainbow coalition that will elevate itself into a moral and political cosmos dangling on the political class? I will say yes. I agree with that fully. “We saw the impact of National Democratic Coalition (NADECO) on our politics. But, my point of departure with the coalition of Nigeria is that if we were to need a coalition that will question and pooh pooh the excesses of the political class, it is not just about forming a coalition. Who are those forming the coalition? I think we still need the beautiful ones that are yet to be born,” he said. Reacting further to the public statement written by Obasanjo, Obiagbon took a swipe at the former president. He said the ‘messenger’s’ activities as President of Nigeria need to be criticised first. “Former President Obasanjo himself will be one of the targets whose activities while he was president should be looked at. He cannot come and be pontificating on the achievements of President Muhammadu Buhari.